It's long been known that Alzheimer's patients often retain musical memories, even when they can't remember names, faces or places. Canadian researchers say brain scans have helped them understand why. It's long been known that Alzheimer's patients often retain musical memories, even when recall of names, faces and places has been lost as the disease relentlessly destroys key areas of the brain. When subjects listened to the previously unknown composition, it lit up a region of the brain known as the temporal lobe, "which is what we would have predicted because that part of the brain gets activated when you listen to anything," said Dr. Corinne Fischer, director of the memory disorders clinic at St. Michael's Hospital and one of the researchers. "There's always been this question of why music and the ability to appreciate music is preserved, even in the latest stages of Alzheimer's disease," said Fischer. "And I think one of the things this tells us is that it may be not so much the music as it is that familiar aspect of the music and the fact that that's activating parts of the brain that aren't typically damaged by Alzheimer's pathology. "So that's why even though you might not know your name, you may not know your environment, you may still be able to appreciate a song because it's activating those areas that are not damaged." Michael Thaut, the study's lead author and a professor of music and neuroscience at the University of Toronto, said it's common for people in even relatively advanced stages of Alzheimer's to call to mind the melodies and lyrics of songs from their past, as well as the autobiographical memories attached to the music. "But up to this point, we had no idea what the brain mechanisms are that drive these very long-lasting memories." That's why the researchers are excited about their findings, which were to be presented Wednesday as a "hot topic" at the Society for Neuroscience conference in San Diego. "This is the first study that we're aware of that has actually studied these kinds of mechanisms and has come up with some ideas why the Alzheimer brain can retain music much longer than other stuff," said Thaut, who designed the research and analysed the data. "So I think this is a breakthrough study." "That's one reason I went into the study," said the 60-year-old guitarist, pianist and songwriter, one of about five professional musicians included in the research. "Not only did I recognize I was dropping [forgetting] nouns, but that my mother has Alzheimer's. "She's 80, and she was having similar memory issues at my age. So I wanted to have a baseline to see what was going on." "What we found was there was improvement in brain functional connectivity, changes in brain activation and also improvements in memory scores, which told us that by exposing the brain repeatedly to this familiar music, people were actually improving cognitively and there was evidence that their brain was also changing," said Fischer. Connectivity is a measure of information flow between different brain regions, an important component of neurological function; enhanced connectivity and the other changes suggest that repeatedly listening to familiar music may give the Alzheimer-affected brain a cognitive boost, said Thaut, calling the results "stunning." "So I think we're sitting on something extremely important." Still, the researchers hope their findings may offer the basis for a targeted form of music therapy, with a goal of potentially slowing the progression of Alzheimer's disease and possibly other types of dementia — none of which has an effective pharmaceutical treatment or cure. 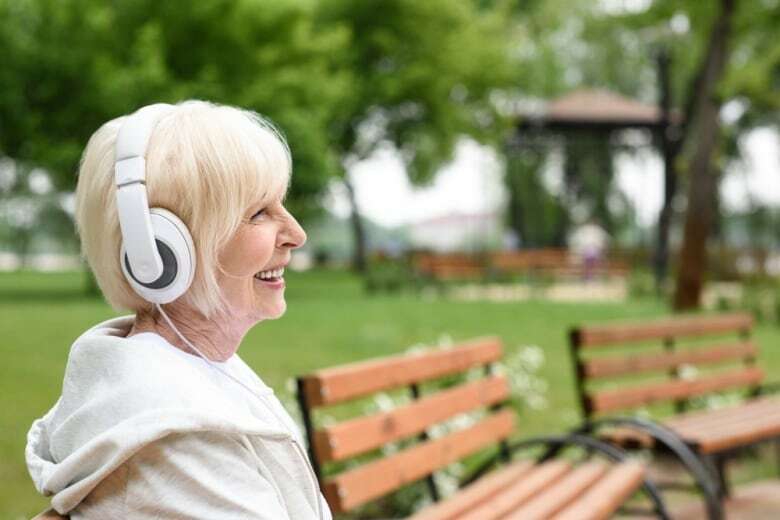 "Alzheimer's disease at this point is non-reversible," said Thaut, who suggests people with the condition could mimic the study protocol on their own, by listening to familiar songs of the past each day and recalling the life events the music evokes. "We cannot say you will be healthy," he said. "But we can say if you engage in that kind of exercise with your family, your friends, with the caregiver, your spouse, even to go to concerts, just engage your brain in music, from the data we have there will be some cognitive benefit." While the research found that non-musicians seemed to make more cognitive gains than those who routinely play instruments, Newell said she hopes continuing the study protocol on her own "will bump me up to keep me going." 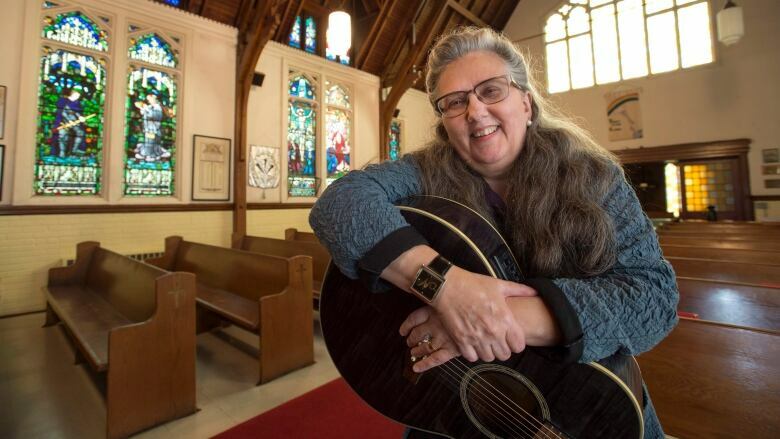 "And also it encourages me to listen, just to listen to music," said Newell, a worship leader at a Toronto Anglican church, whose role includes spiritually based music. "I guess just incorporating it more into my daily life."